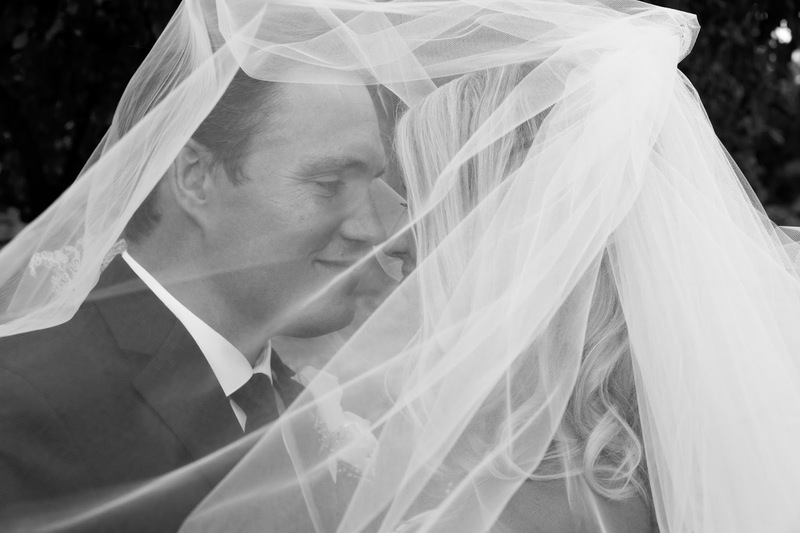 Fortunately, there are a LOT of ways you can save money on your wedding! The first step for my husband and I in planning our wedding was setting the budget. From there, we decided what was most important to us (besides becoming husband and wife!). For us (me), the most important things were my dress and the photography, so these were the two things we were really willing to spend good money on to have the results we wanted. Personally, I think both of these turned out excellently! Just one of our great wedding photos- well worth the money! A close-up of the detailing on my dress! After we had spent some time (and money!) planning the wedding, it was time to decide a few spots where we could save. Here are just four of the places we saved some money, and how we were able to do it! There are many others ways we were able to save money (having my Dad make the table numbers and cupcake stand, my Mom make a card box, bridesmaids helping me with place cards, DIY programs, the list goes on!) so these are just a few ideas for others. We saved a ton of money on our flowers by going to the farmers market! 1. 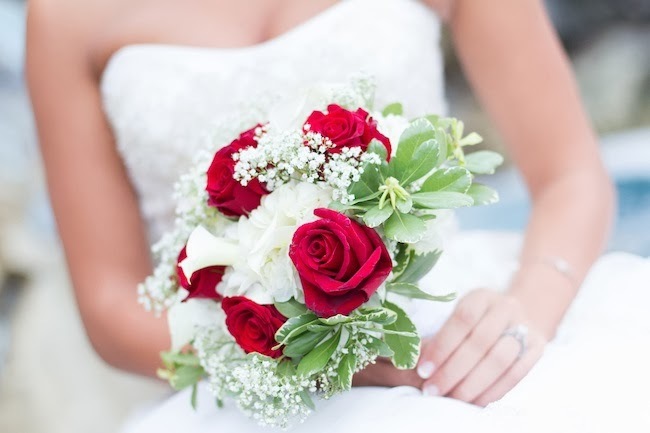 Flowers: This was a pretty easy area for us to save some money on! The first flower shop I called and consulted with, telling them what I wanted for flowers, quoted us at about $1475. For flowers. Neither Nick or I truthfully cared too much about the flowers and what they looked like (especially since we would only enjoy them for exactly one day, before heading back to Sweden!) To save money on the flowers, we headed down to the Minneapolis Farmers Market on a Sunday morning and bought some flowers from two different vendors, as well as grabbed business cards from each vendor. I set up a couple of consultations, described what I wanted, and got some quotes. We ended up paying about a quarter of our original quote for flowers! Now, here is the warning if you go this route: your flowers may not be exactly what you want. Mine weren't, and you can read about that at What Went Wrong At My Wedding. And you know what, it was OK, the flowers still looked good, and nobody but me knew they were wrong! 2. DIY Centerpieces: Now, I'm not a creative person (at all!) but even I can do these! Each of our centerpieces cost us around $2.33. All it took was a trip to the dollar store! I bought 25 vases, and 8 bags of the little rocks you see in the vase. 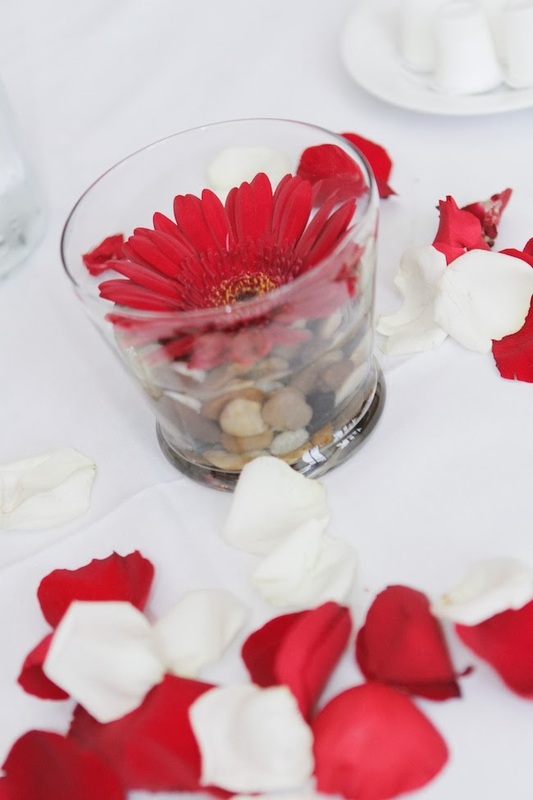 Pour some rocks in the vase, add some water, and then stick a gerber daisy inside and you've got a pretty great, simple, easy centerpiece! We added to the table with scattered rose petals, but all in all these were very easy and still looked nice. 3. Save The Dates & Invitations: For our Save the Date, we went with a hockey theme, had a friend do some photoshopping, and then ordered them online! We ordered our invitations online as well, from Invitations By Dawn. By joining their mailing list, they sent a coupon for 20% off, which was a nice to save a little additional money! Invitations by Dawn was cheaper than many other invitation sites I found. Our cupcakes from Gigi's were absolutely perfect, and delicious! 4. Cupcakes vs. Cake: Wedding cakes are another area to save a ton of money on! After a lot of research, we found Gigi's Cupcakes in Golden Valley, MN. We headed out there for a taste test (and, throughout the summer, several other cupcake stops!) and absolutely loved the cupcakes. 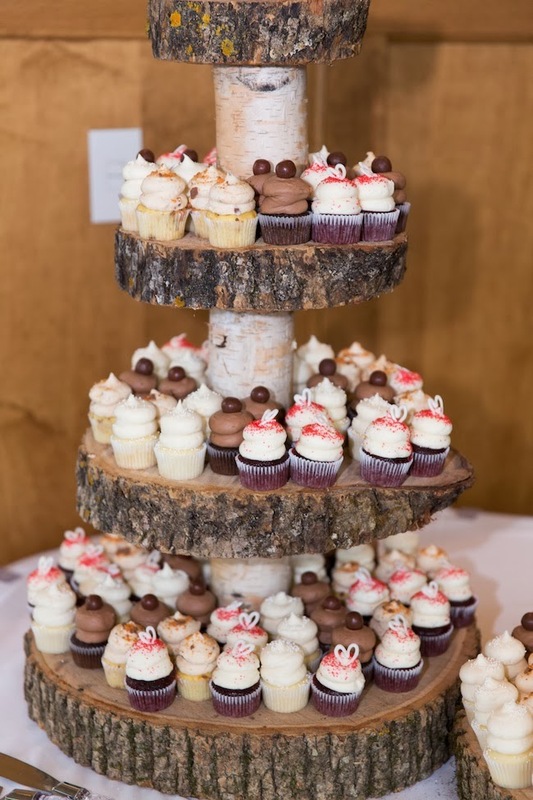 Not only were we able to choose several different flavors, so everyone at the wedding could enjoy whichever flavor they like, we were able to order "mini" cupcakes so they were almost bite-sized! Having bite sized cupcakes allowed us to order more than enough (and get a couple for every guest!). The cupcakes were delicious, and we saved tons of money on them! I would highly recommend Gigi's to anybody getting married! I should also mention that the cupcake stand you see here was made by my father, instead of renting or purchasing one. I saw this idea on Pinterest, loved it, sent a picture to him and he was able to make it! Looks pretty good, don't ya think? Perhaps someone has a new career possibility in creating wedding decorations!